Everyone who knows me is more than aware that bears are my favourite animal. When the opportunity arose therefore to head to Borneo to visit a leading sun bear rehabilitation centre, I jumped at the chance. Nestled in a vast expanse of greenery close to the coast, I stepped into a sun bear haven that I was hard pushed to want to leave! The centre was created in 2008 to create a home for sun bears which have been forced into captivity as pets. 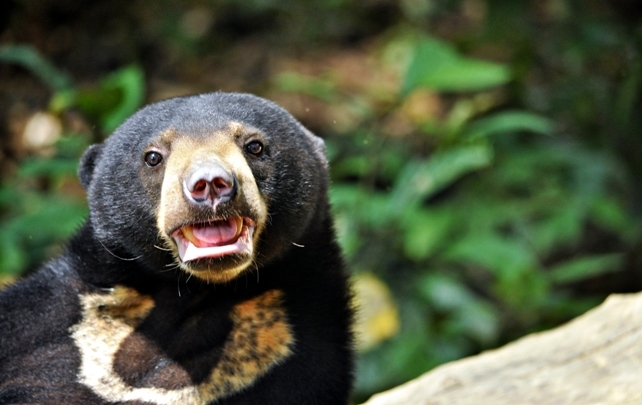 The smallest species of bear, the Borneo sun bear is adorably cute- especially when as a cub. Many people will take these young sun bears from the wild, often having to shoot their mothers who die trying to protect their offspring, and take them home as pets. Only when they start to become older do these owners realise how wild they really are, and force them into cages. All 35 sun bears that are currently at the rehabilitation centre have been rescued from such circumstances. Volunteers work alongside the staff to help these bears to experience life in the wild that they deserve. This is such an inspiring project and one which is incredible to become part of. 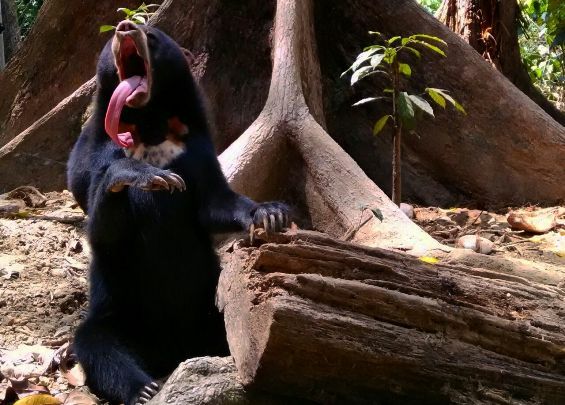 Not only do you get very close up with the sun bears, but all that you do on this project helps them to rehabilitate – and amazingly, maybe even get back to the wild. A very exciting part of this project is that it is located next to Sepilok Orangutan Rehabilitation Centre, a leading centre known all over the world. In your free time you can go and watch the orangutans feeding and swinging through the trees. Seeing both the sun bears and the orangutans living their lives in the wild is something so very special, it was amazing to be part of it. To find out more, see our sun bear conservation website.